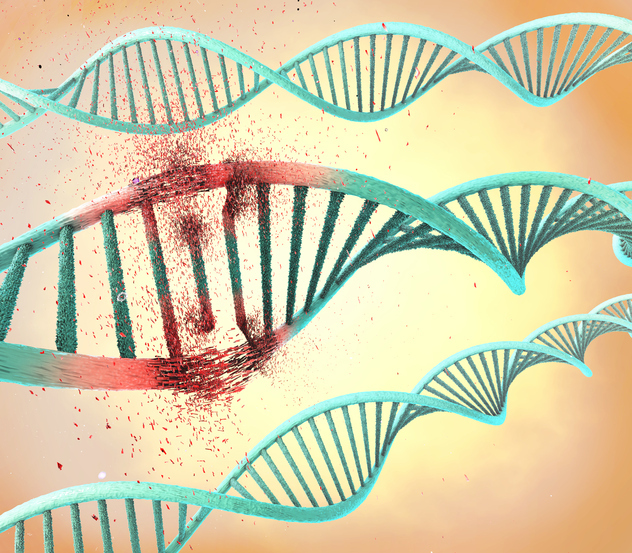 Scientists in Switzerland have used an enhanced CRISPR-Cas gene editing technology to correct the gene mutation that causes the metabolic disorder phenylketonuria (PKU), in mice, and restore blood levels of the amino acid phenylalanine, to normal. Reporting on the technology in Nature Medicine, the researchers say their results offer “compelling evidence” that the method can be used to reverse the disease. “This approach has great potential for application in humans,” claims study head Gerald Schwank, Ph.D., a professor at the ETH in Zurich. Phenylketonuria is an autosomal recessive disorder that causes a deficiency in the liver enzyme phenylalanine hydroxylase (PAH), which normally metabolizes the amino acid phenylalanine. People with PKU inherit a defective copy of the Pah gene from each parent, and the disorder means that they require a special diet to prevent build-up of phenylalanine in the body. Untreated infants can suffer from severe retardation, microcephaly, and seizures, and so some countries carry out routine screening for PKU in newborn babies. To test their hypothesis the researchers developed a CRISPR-Cas-associated base editing technology to correct the homozygous Pah mutation in a mouse model of PKU. The system, packaged into adeno-associated viral (AAV) vectors, effectively comprises the enzyme citidine deaminase fused to the dCas9 enzyme. The construct binds to the gene locus containing the Pah mutation and open the DNA strands. The deaminase enzyme then converts the incorrect C-G base pair in the Pah gene into the correct T-A base pair. The team first tested the efficiency of their base editing approach in a cultured hepatocyte reporter cell line, and then in primary liver cells, before moving on to in vivo evaluation of gene correction system in adult mice, which received the AAV constructs via tail vein injections. The treatment resulted in the animals' abnormally high blood levels of phenylalanine dropping 20-fold to normal physiological levels within six weeks. Encouragingly, post-treatment blood levels of the amino acid then remained normal for the full 26 weeks of the investigation. The growth-retarded animals also gained weight after the gene editing therapy, and their hypopigmented, paler fur also darkened to about the same shade as that of normal control animals, within weeks of treatment. “The use of a base editor was the key to our success,” explains first study author Lukas Villiger, a Ph.D. student at ETH. Prior to using the base editing technology, the ETH researchers had been working with traditional CRISPR/Cas approaches, but in 2016 switched to the base editing approach first reported by its developers within the laboratory of David Liu, Ph.D., at Harvard University. However, as Villiger acknowledges, “even with the new base editors, the path still didn't follow a straight line—we had to tinker around quite a bit.” The researchers say that the biggest surprise was that the new system has proven to be so much more effective than the traditional CRISPR/Cas toolbox.